"The entire staff has been more than wonderful and the care has been exemplary. We feel that our pet is being given the best possible outcome for a very difficult situation." Welcome to MedVet Cleveland Northeast, formerly known as Animal Emergency Clinic Northeast. Our team consists of qualified veterinarians and highly devoted professionals who have the knowledge and experience needed to care for all of our animal patients and their individual needs. Our after-hours veterinary emergency team is ready to provide emergency treatment to pets in Lake County and eastern Cuyahoga County. We value open communication with you and your family veterinarian, focus on patient-centered care, and provide quality medicine. 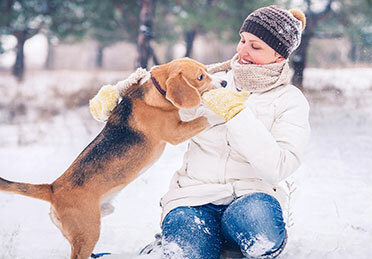 Our doctors at MedVet Cleveland Northeast are committed to timely communication and collaboration with you and your family veterinarian when referral offers the best care for your pet. If your pet is facing an emergency, you can come directly in to MedVet Cleveland Northeast – no referral needed. Our talented emergency team of experienced emergency doctors and compassionate nursing staff are available Monday through Thursday, 6:00pm to 8:00am. We open at 6:00pm on Friday and remain open until 8:00am on Monday.